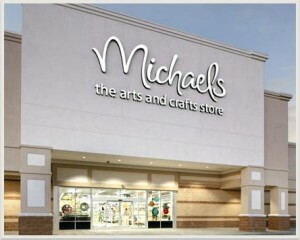 Michaels Stores, Inc. is North America’s leading retailer of arts, crafts, framing, wall decor, and seasonal commodities. Currently there are more than 1,100 stores around 125 locations. The store produces ten exclusive brands such as Recollections®, Studio Décor™, Bead Landing™, Creatology™, Ashland™ and many more. The average Michaels store contains 40,000 different products in 18,200 square feet of space. The Operations Manager provides operational leadership and is responsible for safe and organized shift operations. Ensures safe work environment through safety awareness programs and identifies safety opportunities. Must possess excellent leadership and communication skills. Ability to develop talents within organization. Should possess strong MS Word and Excel skills. Click on the “Click here to get started” button to search for various job opportunities. After selecting the Job, click on “Apply Online”. If you are a first time user, then you will be prompted to create a username and password and then complete the application. Returning users can apply directly using their username and password. The Material Handlers get a starting pay of $11.00/hour with additional production incentives. People working at Michaels are very much satisfied with the work environment. Few reviews about Michaels suggest that the store pays pretty well for what they ask you to do.